Head Flattening - Foot Binding’s Cousin? | WWAM Bam! The history of foot binding is a well documented part of China’s history. The West is not without controversial fashion with its history of corset use. However, there is one practice in Asia that remains under reported. I found out about this through my mother-in-law who still believes in its beauty. Before I had children I found out as much about this practice as I could. It was important to her so should I just let her go ahead, what harm could it do? No. There may be some things I am happy to follow as means of compromise (I’ve even been to a temple to sacrifice a sheep) but this is one tradition I had to stand my ground on. I don’t have enough fingers to count the amount of times my mother-in-law has proudly described to me: how carefully she watched her children sleep; how she slept so lightly she could hear them move and she’d gently, without waking them, move their head back to the centre; how she made a special contraption with the use of books to make sure her babies slept with their heads on a hard surface and wouldn’t be able to turn left of right; how their faces were so beautifully round; how their hair is so easily styled; and how this has resulted in three good looking grown ups. I have sat with her outside in the compounds we have lived in and listened countless times to her opinion on our neighbours. As Chinese parents often like to shave their baby’s head you really can see how they were slept. 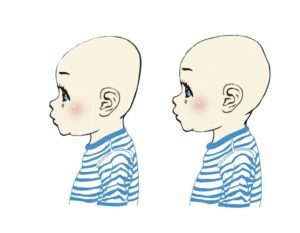 If a baby’s head is flat at the back and symmetrical it shows to my mother-in-law how much that family care about their children and how attentive the mother or grandmother is to their well being. Some mothers or grandmothers can be labeled as lazy just by the shape of their baby’s head. It almost got to the stage where I’d accept the tradition. Did I start to see the beauty too or did I not want to be labeled as lazy, constantly reminded about how my children would have benefitted if I’d listened? After all, “You might not have found my son so attractive if I’d not slept his head properly,” was quite a persuasive argument. I sought out a Korean friend of mine and she told me how her parents slept her head flat on purpose too. She also told me how it made hair styles difficult and she resented her parents for the choice they made. This contradicted my mother-in-law’s ideas. However, in China it seems that this is largely a tradition in the North East of China where my mother-in-law comes from. On the Chinese search engine baidu there are mothers even now asking for advice on how to sleep a baby’s head flat. One popular method is to make the baby sleep on a hard pillow stuffed with rice. There is a Chinese idiom to express ‘the masses’, “平头百姓”. Literally translated it means: flat head, common people. In the past and present, Chinese people can be quite superstitious and sometimes this results in a trip to a fortune-teller. Anthroposcopy, (a form of anthropology based upon visual observation of the physical characteristics of the human body) says that the want of man to rebel is a need developed in curved back part of the brain. 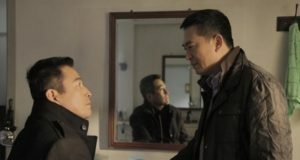 Zhuge Liang (who many consider to be one of the greatest Chinese strategists of the Three Kingdoms period) once said that Wei Yan had a rebellious streak in the back part of his brain. Therefore, it was thought that this part of the brain may make it difficult to rule. During the Qing Dynasty (1636-1912), the Manchurians began the tradition of sleeping a head flat. Firstly, this would flatten the rebellious part of the brain and people would become ‘the masses’ and easier to rule. Secondly, the temples on either side of the head and the brow were slightly enhanced, which led to the increase in size of the baby’s face. The Manchurians saw beauty in their round faces and it became the desired fashion. A round face was also thought to bring good fortune. 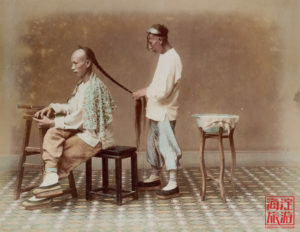 The hair style of the Qing Dynasty (also imposed on the Han population) was seen to suit the flat heads because the braid already stuck out but if the head wasn’t flat, there would be two curved protrusions. Through the influence on the Manchurians in power, the Han Chinese began to join their custom of sleeping heads flat. Once the Qing Dynasty was toppled, the tradition didn’t die out because by this time the Han also thought it was a standard of beauty. My sister-in-laws, now they are older, actually do find that their hair is harder to style due to the shape of their skull and the way the hair falls at the back. The two sisters and my husband all have terrible eye sight. One of the lecturers at my husband’s university in Beijing commented on this tradition and the negative impact it can have on eye sight. He told his students that the part of the brain that is important for eyesight is flattened. My sister-in-laws also can’t wear a beanie hat because it just rides up their head and forms into a cone shape. Looking at it simply. 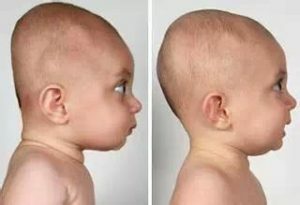 A baby is commonly born naturally with a rounded head. 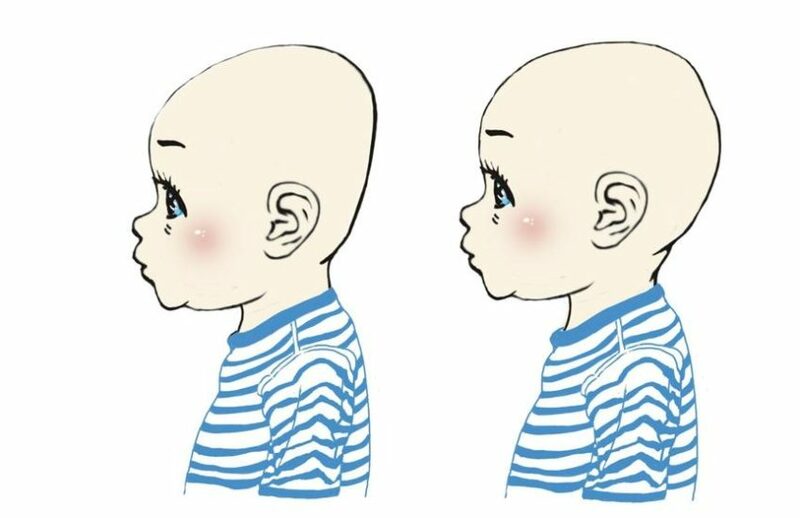 Of course in the West due to measures to prevent SIDS, babies are developing flatter heads but we are still encouraged to prevent unnatural head shapes. Therefore, purposefully sleeping a baby’s head flat is going against nature. We are taught in the West not to use a pillow until at least after 12 months because it will restrict the baby’s breathing and increase the risk of SIDS, however, parents aiming for flat heads often force their baby to sleep with the head raised. To be honest, I’m not sure what is worse. Foot binding where the ladies can’t walk properly? Corset use where the ladies may faint as their inner organs are squashed into places they shouldn’t be? Or purposefully sleeping a baby’s head flat, permanently altering the natural shape of the skull on someone who is too young to say no?